As a grassroots nonprofit organization, we rely on the generosity, talents and passion of others in our community to help us achieve our mission. There are many ways you can help SWFL BirthNetwork spread the word about mother-friendly birth options and resources in our community. Want to volunteer? Please email us. SWFL BirthNetwork attends several community events throughout the year such as KidsFest and Peace Day in the Park at Jaycee Park in Cape Coral, Earth Day Festivals and Health Fairs. We love having passionate volunteers that are willing to sit at our Mothering Tent for a few hours at these events and share what BirthNetwork is all about. We have several committees designated towards different goals. Time commitments can range from a few hours a week to an hour or less a month. Please let us know, if you would like to volunteer your time and talents to any of these programs. We like to serve healthful, tasty snacks at our Monthly Meetings and the Birth Professionals Meet and Greets. If you are interested in baking cookies, preparing a fresh vegetable tray or donating other food or drink items, please email us to sign up for food donations. The Birth Matters Blog features articles, stories and videos about any number of topics related to pregnancy, birth and parenting in our local community. Do you have something you’d like to contribute to the blog? Share your knowledge, experience and passion about birth with our audience while gaining some online exposure at the same time. Submit a post for consideration. 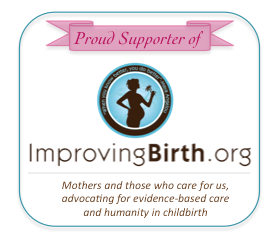 Support the work of SWFL BirthNetwork by putting one of our badges on your website or blog. Be sure to link the image to our website swflbirthnetwork.com!